AAA Imaging solutions is the world’s largest refurbisher of Minilab equipment. The company specializes in Noritsu QSS and Fuji Frontier silverhalide equipment; Kodak dye sub Solutions such as Apex Systems; and the full line of Kodak Photokiosks as well as the HP Photosmart system and peripherals. Stop by and check-out its line of Noritsu QSS 32 series machines that can print up to 30 cm by 91.5 cm panorama prints, or come by for a demonstration on how to quickly scan and organize your shoe box of prints or negatives with the Kodak Shoe box scanner as well as the Pakon Filmscanner. Established in 1982, Al Awazi Studio has 30 years’ experience in the fields of photography and video lighting and accessories with the world’s best brands. The company’s product line in the UAE includes: HENSEL (Germany); ProAm Cranes (USA); Jinbei (China); Qihe (China); and Menike (China). From tripods to batteries - Alwesam has it all! Alwesam Electronics, which is well known as an electronics specialist, will be at PhotoWorld with several different series of tripods, ranging from economy product to premium, plus selection of equipment including camera bags and batteries. Alton LLC (General Trading) was established in 1999 and is very active in importing studio equipment and photography facilities - and it aims to provide the best support and after-sales service. 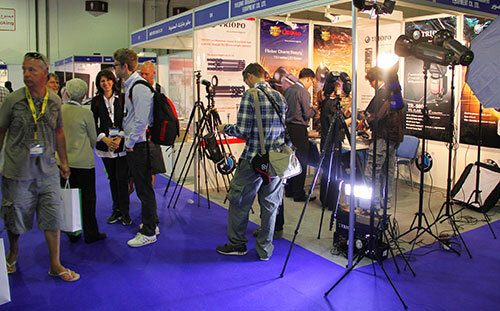 The company will be at PhotoWorld with a wide range of photographic equipment including: flash lights; continuous lights; softboxes; shooting tables & tents; light stands; ceiling tracks & background support stands; video cranes; accessories; and photo frames & albums. Its brands include S&S, Mircopro, Mettle & Vistar. Anoush Photography offers modern services in photography as well as digital printing. Services include: photography studio; digital printing; digital albums; and frames. Products include: digital albums; frame; patterned photo frame; album bags; cushions; customized curtains; customized wallpapers; and stickers. Since it was established in 1988 in Dubai, UAE, Apollo Advertising LLC Signage & Exhibitions’ commitment to high quality standards has won the confidence and recognition of many clients in the field of design, project management, production and execution. Apollo’s expertise covers a wide range of environmental graphic design, signage development, exhibition stands, display design and production. Aputure, founded in China in 2005, specialises in DSLR camera accessories, video accessories, and lighting accessories. Its product lines are exported worldwide. Arenev Creations is a signage & exhibition company established in the UAE in 2005. During this time the company has developed an eye for innovative concepts for its meticulous clientele. Arenev Creations provides sensitive appraisal of style and a simplicity that gives impact to most of its designs. As an exclusive at PhotoWorld CPAC Imaging will introduce the UniPac paper processing kit which works both Fuji Frontiers and uses either CP-48 or CP-49 chemistry. The cartridges have all the necessary notches so the kits will fit both types of machines. This allows distributors to only have one type of kit in stock which fits all Frontier type machines, no double stock of different products necessary anymore. Additionally, the UniPac chemistry is designed to boost performance on older Frontier units with older lasers. It thus allows a substantial extension of the laser life of the minilab, one of the major replacement costs of the Frontier labs. Digital photobooks with panorama prints are the latest fashion in photo albums, says Dolce Vita. Photos are mounted back-to-back and take thickness and stiffness from the patented “easysheet”, producing a real bound book with every page that lays perfectly flat for an unmatched vision of professionalism. The Italo Book Binding Machine is the very latest all-in-one binding tool, developed to make digital wedding albums. It features creasing, aligning, hot press, cold press, guillotine, and the all-inclusive know how of the Photostory experience. In a world of global culture, everyone is striving for the preservation of their identity and culture. This idea underpins the philosophy of East-Coast Photographers: to stress the importance of the photo in representing the culture and the arts of people as well as of regions. It is the group’s desire to contribute to the enhancement of culture and identity, with art reflecting its importance on both the national and international level. Consisting of a highly talented group from Fujairah, Dibba, Kalba and Khorfakkan, all share one common thing which is the love of the camera device. The group’s message: develop and enhance the capabilities and the skills of future talents. The Emirates Photography Competition is organized by the Abu Dhabi Tourism & Culture Authority working under the patronage of the International Federation of Photographic Art (FIAP), the United Photographers’ International (UPI) License and with the Photographic Society of America (PSA) recognition. It is an annual competition that aims to develop the photographic movement in the UAE and the region, by fostering and nurturing talents and professionalism through workshops, meetings and seminars held at regular intervals, as well as personal and group exhibitions organized locally and outside the Emirates. For complete print solutions – meet Emirates Trans Graphics! Emirates Trans Graphics L.L.C., which was established in Dubai in 2005, provides complete print solutions for local and regional markets. Representing various major brands from the printing industry, the company excels in providing digital & pre-press solutions, print finishing, press, post press, packaging, security printing & various value added solutions for customers across the Middle East & Africa regions. Epson is a global imaging and innovation leader whose product line-up ranges from inkjet printers and 3LCD projectors to sensors and other micro devices. Dedicated to exceeding the vision of its customers worldwide, Epson delivers customer value based on compact, energy-saving, and high-precision technologies in markets spanning enterprise and the home to commerce and industry. Gemma, the leading Italian producer of wedding albums, creates the most elegant and refined products – see them for yourself at PhotoWorld. Gemma designs and realizes every album with its own laboratory leading the way professional photo printing. A big draw at PhotoWorld 2013, Gulf Color Film Lab is a leading provider of professional photographic, TV, cine equipment & accessories, with its showroom in Sharjah & Diera, Dubai. Dedicated to helping you with all your lighting and digital imaging needs, its staff have a wealth of experience in the various fields that make up our industry. Its client base includes professional studios & photographers, amateurs, rental studios, several large studio for cars, furniture and interior photography, media users plus other major organizations in the UAE and Gulf region. Gulf Color Film Lab are UAE distributors and suppliers of the following: Broncolor; Visatec; Elinchrom Swiss studio flash lighting; Kobold weather and rain proof HMI and florescent lighting; Chimera USA soft boxes; Foba studio supports and accessories; Bacht top railing systems; FTL cine/TV/stage lighting; SMDV Radio triggers; Won canvas & muslin backgrounds; Colorama paper backgrounds; Innovotronix battery packs; Virtual backgrounds; Speedlighting prokits;Virtual Background; Cinecity study cams; E-Image; Wakko tripods and GCFL-roof tracking systems; plus canvas background, camera jibs with 360 degree rotation and studio props. The sales team have many years of experience in this photographic industry and GCFL has an experienced team of service technicians, dedicated to returning your equipment to full working order in the shortest possible time using only manufacturer’s parts. Since its founding in 1975, GCFL has earned a prestigious reputation among photographers, professional and hobbyists alike. Heliozid’s partnership with Felix Schoeller provides the Middle East market with a wide range of medias which include, presentation papers, photographic papers, specialty papers, and décor papers to name a few. In this year’s Photoworld 2013, Heliozid will display the Special Natural White Canvas from Felix Schoeller. Also on display will be the Canon large format printer. 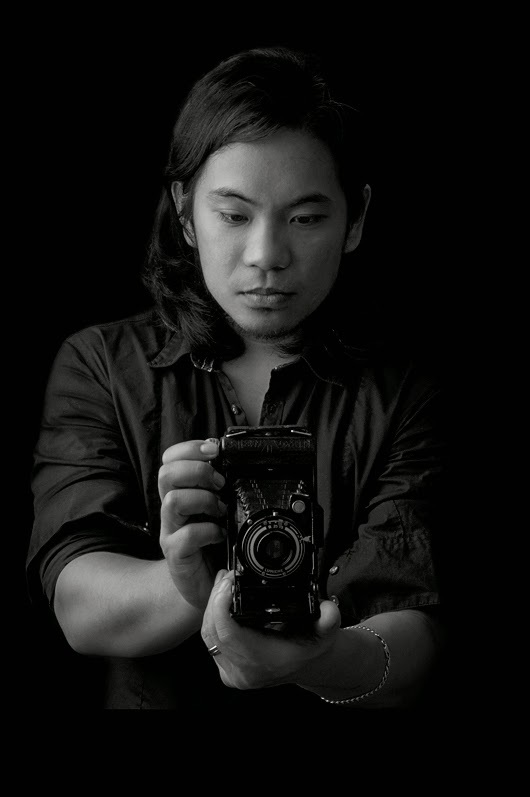 Photography product development specialist - meet Yong Nuo! Yong Nuo specialises in product development, manufacturing and retailing of professional photographic equipment. The company was founded over 10 years ago and offers high quality photographic equipment to its customers. It is very well resourced in product development, with specialist engineers in photographic equipment manufacture. Jamaica Trading Co., LLC’s mission statement is “a company is only as good as it can keep promises”. The company is now one of the most recognized names in the photography industry. Having distributed world-renowned brands Jamaica now holds copyright for Unomat International Products worldwide. Unomat’s product spectrum ranges from photographic chemicals and batteries to thermal printers and consumables. Jamaica Trading Company has also been the sole distributor of Hiti products from Taiwan (Dye Sublimation printers and consumables) in the UAE and African countries since 2007. Established in 2006, Jaxis Limited deals in in various consumer electronic goods such as digital cameras, lenses, pro-video cameras, camcorders, camera accessories, digital audio/video mixers, recorders, photographic studio equipment, iphones, ipads, ipods, imacs, mac pros, mac minis, macbooks, gaming consoles & electric shavers. See the company for the latest top branded products, including Nikon, Canon, Apple, Sony, Panasonic, Olympus, Fujifilm, Pentax, Tamron, Tokina, Sigma, Casio, Philips, Hitachi & many more. Mascotte Industrial Associates (Hong Kong) Limited has more than 38 years of OEM manufacturing expertise in photography, computer, tablet, phone and multi-media bags, backpacks, cases and bundling pouches for worldwide A-brand hardware manufacturers. Mascotte has the manufacturing facilities, experience, knowledge, techniques, designs, innovation, efficiency, and flexibility to cater for any customer needs. Get into the photobook binding business – create perfect photo albums with Promaxx! Interested in the photobook market? Promaxx is at PhotoWorld-Dubai presenting the innovative Clixx’Pixx StudioAlbum System for binding silverhalide prints into photobooks. The use of real photographic paper and high quality album covers contributes to a perfect photo album experience. The system also suits smaller companies in the photo industry, as the initial capital investment is just 450 Euros. The German manufacturer also offers a software solution for designing and ordering, which may be offered to clients without limitations. With both hardware and software solution, the company provides a low-cost but high quality entrance into the photobook market for everyone in the photo industry. 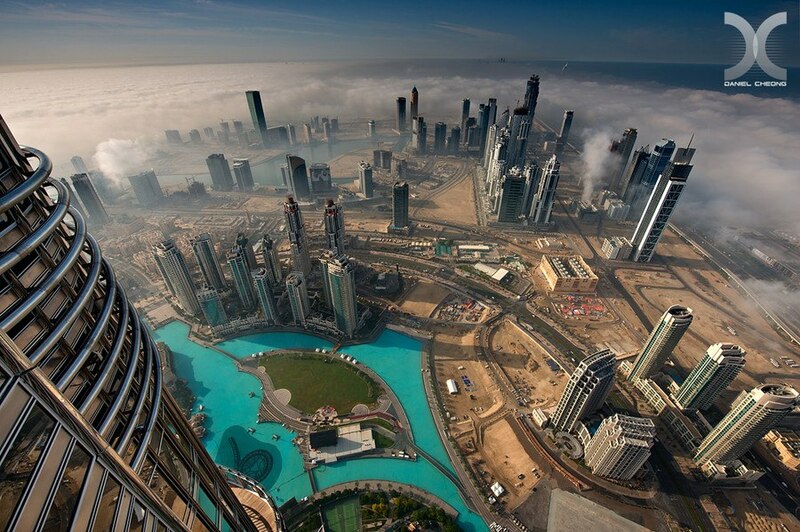 Get your inspiration from the Qatar Photographic Society! A group of amateur photographers first met with the idea of forming a photographic club in Qatar 1984; the club became Qatar Photographic Society in 1995 and is now affiliated to Qatar National Olympic committee. The society now has a membership of around 230. QPS aims to promote an interest in photographic subjects. Many are prepared and led by QPS members themselves and some are run by amateur or professional photographers invited form abroad. QPS holds exhibitions throughout the year in its own exhibition hall and at other local venues. These showcase the work of the membership as well as visiting international photographers and touring exhibitions. Photographs taken by members are used in calendars, phone cards, postcards etc, at the request of various companies and establishments in Qatar. 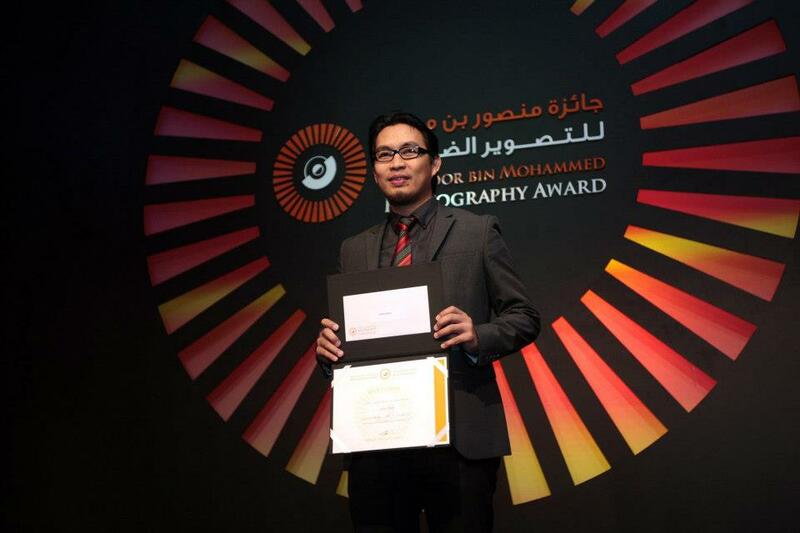 Members of QPS represents the State of Qatar at international photographic conferences, festivals and exhibitions. They also actively participate in photographic competitions in various part of the world with a creditable success rate. Romantic Art Photograph LLC is the largest supplier of digital albums, digital album making machines and materials, and reseller of 30” wide and any size/length US color printing machines worldwide. It has branches in Dubai and Abu Dhabi and 15 branches in India. 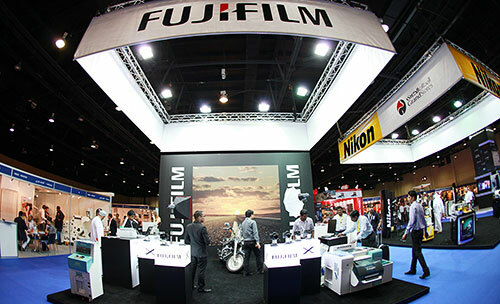 It caters for the needs of the photography industry with innovations and the latest technology. Its products include: digital albums, digital album making machines, digital album making materials, digital album, different model CD covers, and a large collection of creative background design CDs. Sevenoak Technology is an innovative company specializing in manufacturing professional video equipment such as camera rigs, cam sliders, cam stabilizers, matte boxes, follow focus, viewfinders etc for use with world famous cameras and camcorders including Canon, Nikon, Sony, Panasonic, Pentax, Olympus, JVC, Leica, RED etc, aiming to help the photographic and video enthusiasts create better works. With an independent R&D department, sales team, professional technology engineers, integrated production lines, and CNC machines, as well as its own lab, the company can better serve its customers and produce more creative products. The company has many distributors throughout the world and its products are widely accepted by both amateur and professional users. It can convert photos into personalized 3D, action/flip images instantly. And it requires minimum investment set-up and offers immediate cash flow. Talk to the company for marketing solutions for photo retailers, photo studios, corporate and sports events, malls, airports, tourist attractions - and you name it. Products include 3D Frames (acrylic, cardboard, regular, pocket), photo novelty items, digital 3D cameras with 3D instant print solutions, IPhone 4 and 5 3D cases, and 3D accessories (key chains, fridge magnets, bag tags) including software features for sending out 3D images to email, Facebook accounts, and mobiles. A must for all PhotoWorld Visitors, head to the Tenaui stand to see the CP-3800DW professional photo printer that provides high resolution, high speed printing in a compact, space-saving design. Delivering fast, premium quality photo prints in 4 x 8", 6 x 8", 8 x 10″or 8 x 12" sizes, it features easy front access for fast media loading as well as semi-automatic paper loading. The CP-3800DW utilizes a unique roll-type paper feed mechanism for jam-free reliability, making it the perfect printing solution for a wide range of photo processing applications where larger sized prints and bright, accurate colors are essential. It’s easy to use, with simple, semi-automatic paper loading with convenient front access. Plus, talk to Tenaui about genuine Mitsubishi media that offers brilliant colors and exceptional photographs. Twiching is a website born out of passion and love for all the beautiful moments of life and nature that speak a thousand stories when captured. Twiching is a collaborative effort of a groups of photographers who are passionate not just about clicking pictures but anything and everything related to photography. Twiching deals with a lot of photography equipment which is mostly rare to get in UAE market as well as offering pricing this is very much affordable compared to other companies. If you are looking for a place to buy or sell your photography equipment then Twiching is the place. Twiching is a creative outlet for all those associated with visual creativity: photographers, models, fine art creatives, fashion designers, makeup artists, creative designers and all those who have a refined taste for every thought, emotion and moment expressed visually. Be a Twicher and let the magic unfold! Universal Holdings was established in January 2002 and now focuses exclusively on branded photographic products. Products available from the company include: digital cameras (DSC’s, DSLR’s); lenses ( DSLR’s and mirror); flashes/batteries/battery grips, video cameras & camcorders; pro-videos; photo paper & printers; filters; bags & tripods etc. Brands from the company include: Sony, Nikon, Canon, Samsung, Fuji, Panasonic, Sigma, Tamron, Manfrotto, Tokina, Sunpak, National Geographic, etc. With considerable expertise in retail and distribution Universal Holdings LLC aims to further expand by building lasting partnerships with international brands on a mutually beneficial platform. Its mission is to be one of the leading and best recognized distribution companies in branded photographic products. Wooblue is the California based technology development company and creator of CamnexusTM, a wireless photography device and mobile app designed for a host of professional grade DSLR cameras by Nikon and Canon. When connected to a compatible DSLR camera, CamnexusTM enables wireless control of the camera via an iPad, iPhone or Mac and enables real-time photo sharing. Features include wireless camera and shutter control, wireless image transfer, live viewfinder, time-lapse, HDR and self-portrait, in addition to image and color manipulation options. CamnexusTM works across multiple camera brands, drains no battery power from the DSLR camera, provides internet and Wi-Fi pass-through and supports Social Media integration. Phase One cameras, digital backs and lenses are designed to deliver superior quality image capture and investment value. Phase One’s Capture One and Media Pro software help streamline capture and post-production processes for both medium format and DSLR cameras. Phase One products are known for their quality, flexibility and speed enabling pro photographers shooting in a wide range of formats to achieve their creative visions without compromise. Phase One is an employee-owned company based in Copenhagen with offices in New York, London, Tokyo, Cologne, Hong Kong, Shanghai and Sydney. Emirates Photo Marketing LLC was born as the culmination of a successful partnership between Al Murad Group and Kodak, today positioned as the largest integrated photo imaging solutions provider in the UAE. The company represents a number of premium brands in fields of photofinishing, professional imaging, health and industrial imaging, and digital & business imaging. As the authorized distributor of several premium photofinishing and imaging brands, such as Kodak (USA), Noritsu (Japan), DIS –EdiSecure (Germany), ZBE-Chromira (USA), Sinfonia (Japan), JetMaster (UK), PolyPrint (Greece), and Direct Color Systems (USA) etc., the company offers a wide range of solutions to varying photo and printing business houses, and professionals in & around the UAE. Eventecs FZE can supply a wide range of events products, such as chairs, tables, lighting, events effects and a lot of different options and materials to make every event a special one. Africa and supply them with all its great products and services. Go to the company for wedding albums; wedding supplies & accessories; events supplies & effects; stage decorations and stage lighting & effects. As i said in my previous post, you could still pre-register yourself and enjoy the event from 24th to 26th of April at the World Trade Center. Thank you for appreciating Amelia :) That inspires me more to continue writing. photo printing | photo printer | heat press | heat press machine | heat transfer machine | tshirt transfer | mug printing | tshirt printing | photo paper | uv ink | sublimation | dye inks | pigment inks | dye base ink | pigmented ink | ink refill | refilling | sublimation ink manufacturer | sublimation ink supplier | pigment ink supplier | compatible cartridge | buy ink | buy cartridge | canvas printing . Finding the craziest photographer of the century. This blog is very exciting, I really like these simple and useful information.